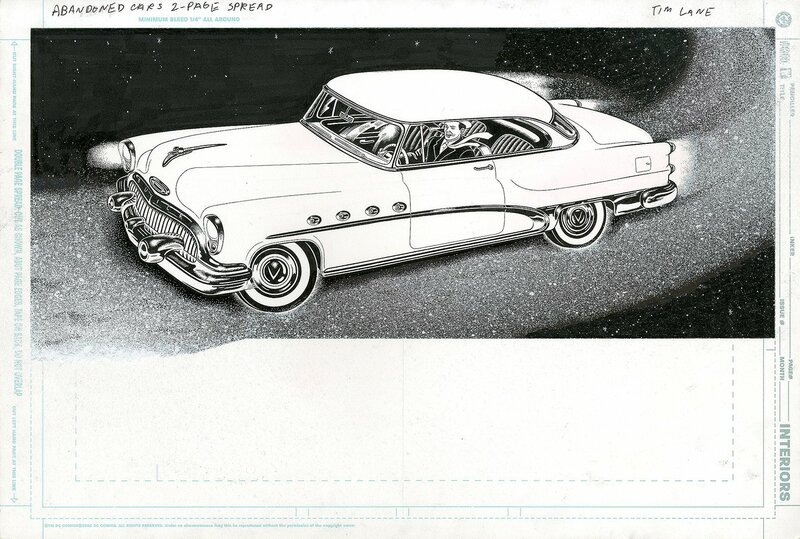 Beautiful, meticulous drawn spread from Abandoned Cars in Lane's trademark style. Pen and ink on paper, 17 x 11 1/2 inches, excellent condition. Signed by Lane.